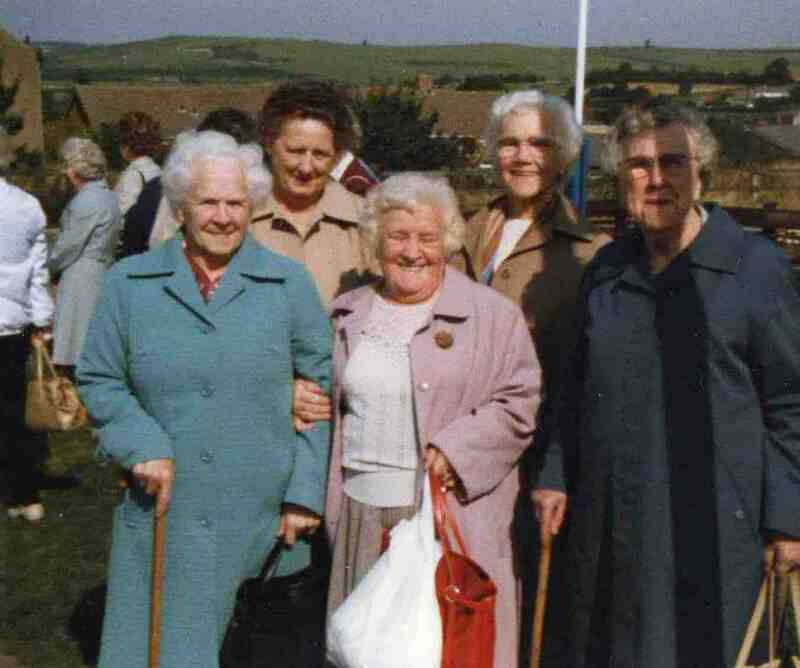 The lady to the left of the photo in the light blue coat and carrying a walking stick is my Aunty Mrs Bessie Roberts (nee Shirtcliffe). The lady in blue coat is mrs smedley,mrs Pressley behind her and mrs whitley on the end. The lady in the pink coat is Mrs Hall.